Welcome to Red Power Motorsport, the home of car remapping ( ECU Remapping). To many, this sounds like a complicated process, so why are so many drivers choosing to get there car remapped? It is an advanced technology that is designed to have a significant impact on the performance of your car. How does car remapping work? All car manufacturers at the stage of production chooses to limit the power of the car in order to comply with the laws in various countries, i.e emission regulations. This is set to a low ratio for this purpose and can have a huge impact on the performance of your car. My car is pretty old can I get my car remapped? Depending on how old is old, all cars manufactured since 1999 have an on-board computer known as ECU or engine control unit. This like any computer has a range of functions which is under its control i.e air flow, ignition, timing, rpm, speed controls etc. So any car after 1999 can be remapped for enhanced performance. How can getting my car remapped help with my car performance? Power tuning or performance tuning is ideal for car owners who feel that their car is not performing to its best capability and want that little extra. 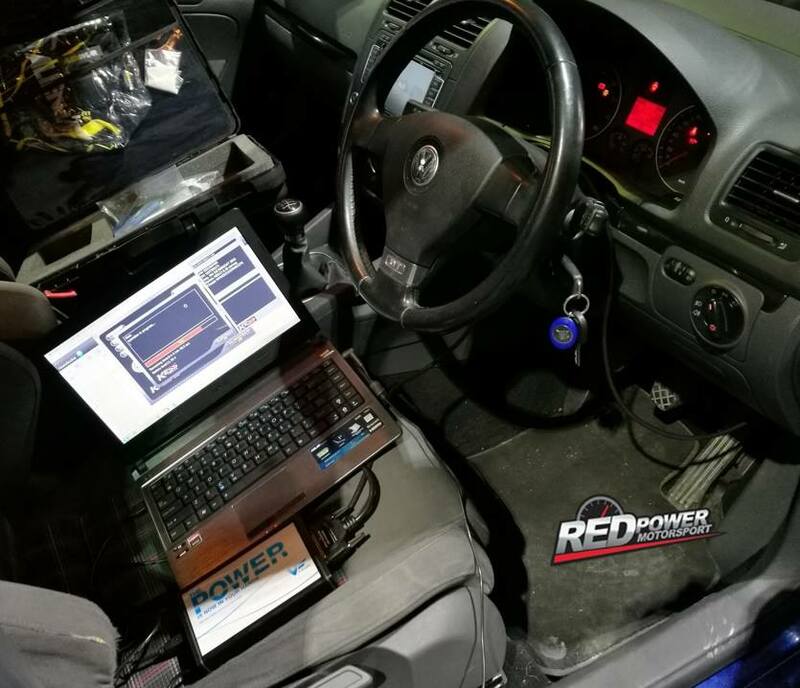 Here at Red Power Motorsport and in partnership with Viezu, we have the technology and expertise to improve the performance of your car. This is suitable for all types of drivers, from everyday commuters to drivers in Motorsport. For the car drivers seeking the opportunity to save money on their driving cost Economy tuning is the answer. Our first class car remapping service has many benefits. Increased power, torque, acceleration and at the same time, better mileage! To book your car remapping simply get in touch by filling in contact form or calling us on number provided, alternatively why not drop into us here on the Long mile road. We are ideally located just off the M50. 1C, Avonbeg Industrial Estate, Long Mile Rd, Drimnagh, Dublin 12, D12 HE02. Our partners Viezu are industry leaders for many reasons, and have won numerous awards already in the automotive industry. Viezu tune over 5000 cars every month, supporting over 600 dealers worldwide, several race teams and some of the largest fleet operators in the world. Viezu have a 5 million euro insurance policy covering car remapping giving you even more peace of mind. Viezu stands apart from other ECU tuning and car remapping providers for security and expertise. So why did Redpower Motorsport choose Viezu as our car remapping partner? Simply because they are the best in the business and through many hours of research in finding the right provider to bring this service to our customers, Viezu really stood out as experts in this field. With a commitment of absolute quality and insurance and proven results we are happy that this was the correct option for our customers. Book your car remapping with us here and see the difference in seconds..Get in touch for a free quote.